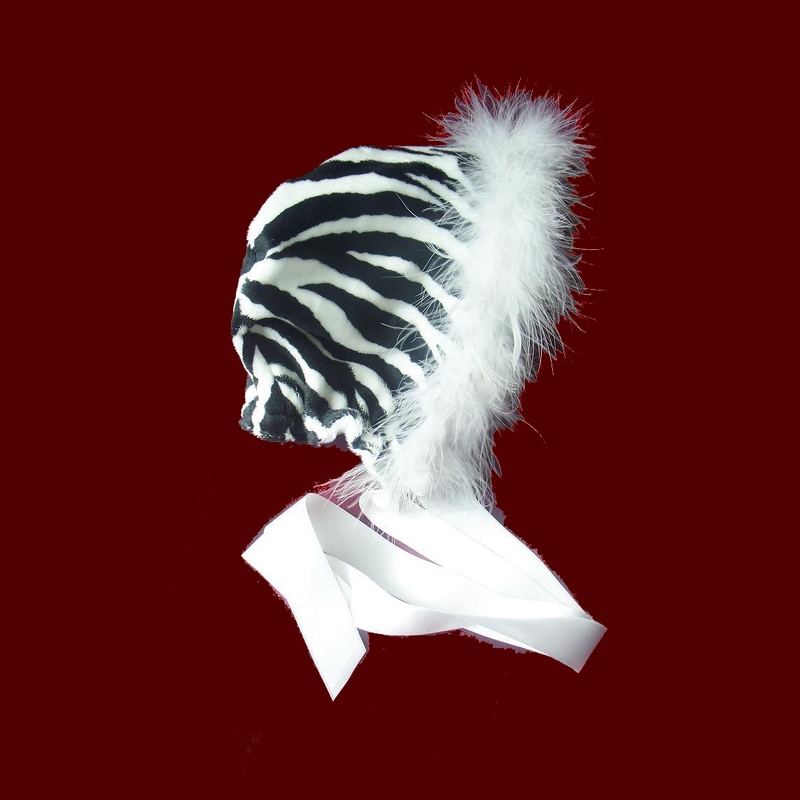 Ultra soft and cuddly "minky" bonnet for girls available in a wild & fun zebra print. Trimmed with marabou boa, the bonnet is also available trimmed with ruffled lace or satin ruffle at the front edge and lined in white minky. Elastic at the neck edge provides a comfortable fit. With satin ribbon ties. Available in many sizes. Irish accents may be added to all items on this website.